Many people are familiar with this sermonic catchphrase: Get Ready, Get Ready, Get Ready! However, while the well-known pastor and televangelist’s Get Ready, Get Ready, Get Ready trademark slogan only hypes up (emotionally charges) his congregation, the truth of the matter is that it truly is time for believers to GET READY, and not just for hearing men and women’s sermons, or for taking part in an emotive frenzy. Instead, it is time for people to GET READY for the imminent Former and Latter Rains’ outpouring. Put differently, it is time for people to prepare themselves for the completion of the current shift—“the cusp,” which is the transitional process by which the world totally enters into a new Astronomical Age (a.k.a., a new Zodiac Age or a new Great Month). Yes, this Earth has a longer cycle than the well understood monthly and yearly cycles of 12 months with about 30 days in each month for a fairly accurate total of 365 days. Without doubt, the Earth has a Great Year cycle of 12 Astronomical Ages (12 Great Months) with about 2,000 to 2,166 years in each Age for an approximate total of 26,400 years. This longer cycle, thus, results from the gravitational pull of the Sun and the Moon on the Earth, which causes the Earth’s axis to wobble slowly in a clockwise circle, similar to the motion of a spinning top. On account of the Earth’s axis not being fixed in space, this axis gradually precesses (rotates like a spinning top) for a period of roughly 24,000 to 26,4000 years. Once again, this period is known as a Great Year. This Great Year is the time it takes the Earth’s rotational axis to complete one clockwise circle or one Great Year cycle of departing from its original starting point and returning back to that point, then repeating the circle/cycle, starting on the successive time(s) from a point a little west of where the ecliptic plane—the plane of the Earth’s orbit around the Sun—intersected the celestial equator the previous Great Year. In other words, the wobbling of the Earth’s axis causes the precessional cycle (a.k.a., the precession of the equinoxes), which is the slow-backward movement of the Sun’s apparent position in the zodiacal constellations. When observed on the same day of each year, which is the first day of Spring or the Vernal Equinox, to the observers it seems as if the Sun’s apparent position in the zodiacal constellations has moved slightly to the west of the previous year’s position. The Sun seems to move because the Earth is rotating around the Sun. That is to say, while it is evident by the sunspots that the Sun does rotate, it only spins on its own axis, making a full revolution once every 27 days at the Earth’s equator, but revolving at the poles only once in 31 days. As a result, the Sun moves at a much slower pace than the Earth, as it takes 24 hours for the Earth to make a full rotation, but, since the Sun isn’t a solid object like a planet, its rotation is much harder to pinpoint. For the above reasons, the Sun’s apparent position seems to move slightly to the west of its previous point until, after the Sun travels through the 12 Great Months of one Great Year, the Earth’s wobbly axial precession causes this Vernal-Equinoctial Sun to complete its Great Year cycle. 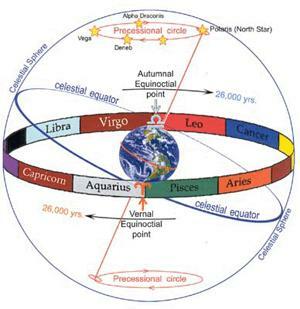 Once more, the length of time that the Vernal Equinoctial point remains in one particular Zodiac constellation is an Astronomical Age (a Zodiac’s Age or a Great Month), which takes the name of the zodiacal constellation the Vernal-Equinoctial Sun, or the Spring Equinoctial point, is passing through. As already established, an Astronomical Age (a Zodiac’s Age, or Great Month) lasts approximately 2,000 years plus a transitional period of an additional 100 to 200 years (roughly 1/12th of 26,400 years; 1/12th of a Great Year). In other words, each Astronomical Age (Zodiac’s Age, or Great Month) is the time it takes the Vernal Equinox to retrograde (to move backward; clockwise) through the 30° of any one of the 12 Zodiac’s constellations. It is important to note here that the variations in the Great Month and Great Year’s cycle times are because the zodiacal constellations are unequal in length, and because there are no clear dividing lines (agreed upon distance) between one Zodiac constellation and the next! Currently, the Vernal-Equinoctial Sun, which is the same Sun that travels through the zodiacal constellations along the ecliptic, is on “the cusp” between the Age of PISCES and the Age of AQUARIUS. “The cusp” also means the Vernal Equinox, 1 of 4 major points on the ecliptic that either intersects the celestial equator or the celestial sphere, is in the process of moving into the Age of AQUARIUS. From the Earth’s perspective, only after the Vernal-Equinoctial Sun rises at the point where the Vernal Equinox precesses—shifts backward from the previous Astronomical Age (the PISCEAN Age) into the next (the AQUARIAN Age)—can the new AQUARIAN Age officially begin. For now, when the Earth is viewed from above the North Pole, the observers see the world spinning on its axis from West-to-East (counterclockwise), once every 24 hours. Because of the Earth’s West-to-East rotation, the Sun appears to rise in the East and set in the West, as do the stars on the ecliptic plane. 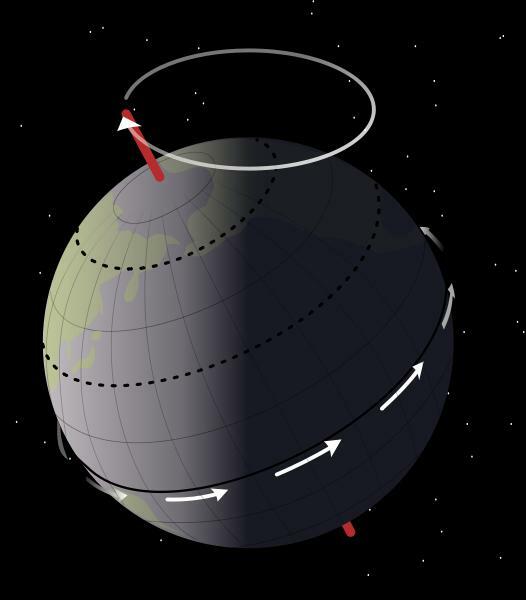 In contrast, the retrograde motion of the Earth’s slow spinning top axial precession is seen moving from East-to-West (clockwise), as the Earth annually orbits around the Sun. While the Earth slowly wobbles (gradually shifts its orientation in space), as it annually revolves around the Sun, the Earth’s axis traces out an imaginary conical surface in space and an imaginary big circle on the celestial sphere (an imaginary sphere of arbitrarily large radius, concentric with the Earth and rotating upon the same axis; the imaginary background for ALL celestial objects—every planet, Sun, Moon, and fixed stars). Also changing positions, as they move clockwise around the ecliptic, are those 4 major points (vernal and autumnal equinoxes and summer and winter solstices). 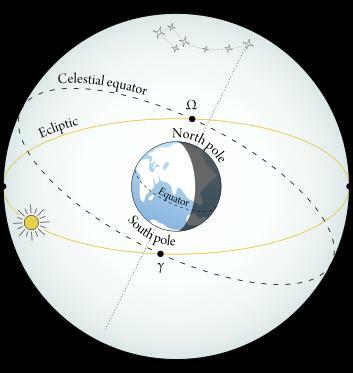 The ecliptic and celestial equator intersect at two of these points: the Vernal (Spring) Equinox and Autumnal (Fall) Equinox. 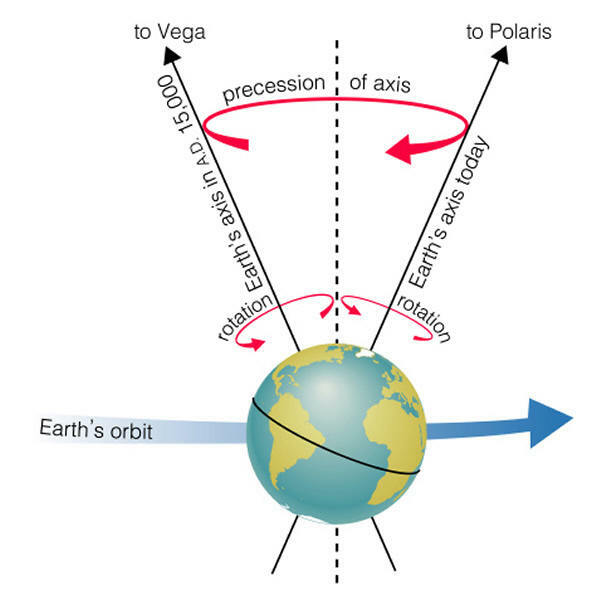 In the Northern Hemisphere, the Vernal Equinox is when the Sun, traveling northward, crosses the celestial equator, the imaginary line among the stars, which lies directly below the Earth’s Equator. The Autumnal Equinox is when the Sun, traveling southward, crosses the celestial equator, the imaginary line among the stars, which lies directly above the Earth’s Equator. Concerning the solstices, the celestial sphere and eclipticintersect at these remaining two points: the Summer Solstice and Winter Solstice. For observers in the Northern Hemisphere, the highest northern point above the celestial equator is the Summer solstice (but Winter solstice for the Southern Hemisphere observer), and the lowest southern point below the celestial equator is the Winter solstice (but Summer solstice for the Southern Hemisphere observer). For the above-mentioned reasons, the Earth’s annual orbit around the Sun defines the ecliptic plane, and the 12 constellations, which lie on the ecliptic plane, define the Zodiac, a concentric belt or band of fixed stars and signs 16° wide, extending 8° above and 8° below the ecliptic. That is to say, from the Earth’s perspective, the ecliptic, the imaginary line or big circle around the celestial sphere, is also the apparent yearly 360° path the Sun travels, as it passes through each of the 12 zodiacal constellations. 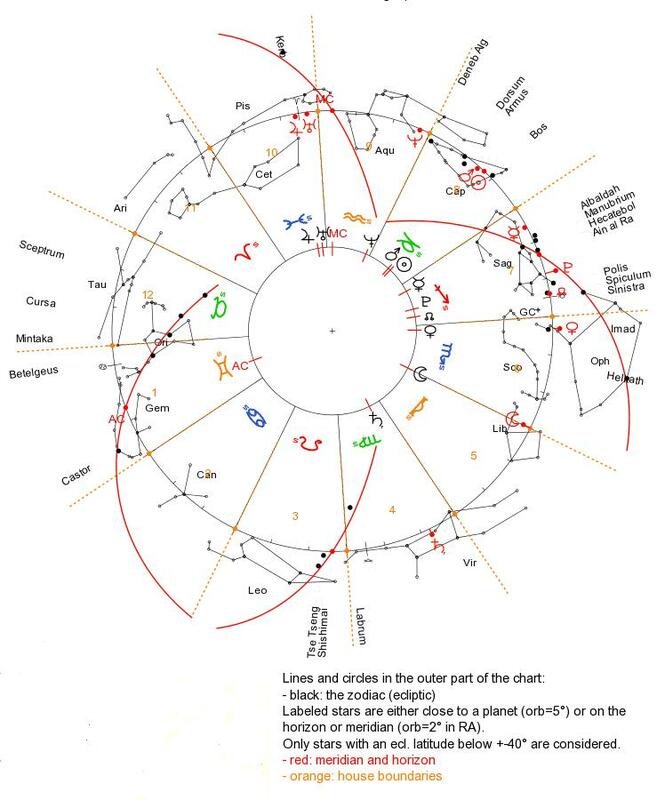 Thus, the ecliptic coordinate system (the zodiacal constellations’ celestial latitude and the zodiacal signs’ celestial longitude) is responsible for mapping out the latitudinal positions of the 12 constellations’ unequal zones of the Zodiac and the longitudinal positions of the signs’ twelve equal zones of the Zodiac. Put differently, the Zodiac is the master calendar or the face of a clock for every Great Year. It is important to note here that there is a significant difference between the Zodiac of constellations (a.k.a., Sidereal Zodiac) and the Zodiac of signs (a.k.a., Tropical Zodiac), even though the constellations and signs have the same names (i.e., ARIES, PISCES, AQUARIUS, and so forth). The Zodiac of constellations (or star groups of UNEQUAL lengths) is the backdrop the signs or seasons move through along the ecliptic. Constellations are the actual places of the physical stars, and they are divided into 12 sectors. However, the Zodiac of signs is an abstraction from the physical constellations. The signs describe the seasons or months of the year and are measured from the Solstitial and Equinoctial points. The signs also are divided into 12 sectors, each designed to represent the 12 unequal in length constellations, in 12 equal 30º sections on the ecliptic. In other words, projected onto the Earth’s sky are two circles 16º apart, equidistant from the ecliptic. These circles form the Zodiac’s borders; the outer circle is the background of the stars, which contains the 12 astronomical epochal constellations (fixed star groups of different lengths), and the inner circle is the divided astrological seasonal signs better known by their descriptions: Ram, Fish, Twins, etc. Currently, because the signs are anchored in the seasonal equinoctial and solstitial points (the 4 cardinal points, one in the: Ram Sign [ARIES Stars], Crab Sign [CANCER Stars], Scales Sign [LIBRA Stars], and Goat-Fish Sign [Capricorn Stars]), the signs are slowly moving through all the constellations, precessing 1° approximately every 72 years, which causes the zodiacal constellations and zodiacal signs to drift, in opposite directions, out of alignment with each other. Therefore, the Earth’s wobbly axial precession (precession of the equinoxes) means more than the fact that there are zodiacal constellations in the Earth’s Northern and Southern Skies. As the equinoxes precess, spiritually observant Christians also should recognize the way this precession relates to the Great Ages of Man. For sure, the Astronomical Ages of PISCES and AQUARIUS mark different periods where significant evolutionary changes occur. For this reason, when the Sun finishes transitioning into the Age of AQUARIUS, then, as it is with every epochal shift (with every move from one Great Month to another Great Month), there are going to be highlighted points of tension that mark this transition. For example, as the Sun continues to move from the Great Month or the AGE of PISCES (the CHURCH AGE) to the rising Great Month or the AGE of AQUARIUS, this epochal shift will usher in the sorrows to beat all sorrows—the three and a half years of the Tribulation, and the three and a half years of the Great Tribulation, with the latter ending with the Battle of Armageddon. 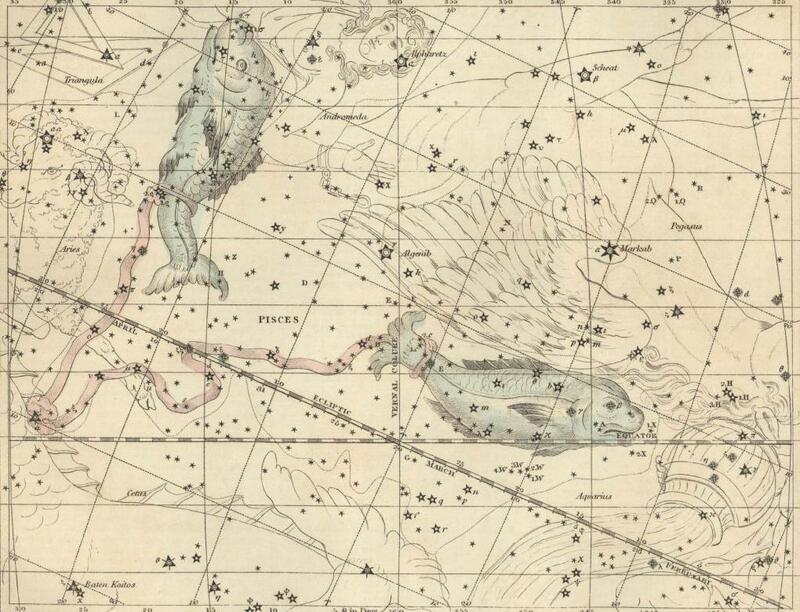 Furthermore, even though there is no physical line in the heavens that can show observers exactly when the Sun has drifted across the PISCEAN border into the new constellation of AQUARIUS, a good estimate for when the Age of AQUARIUSbegins still can be calculated. The new age actually could begin on March 19, 2012; however, this estimate only works if the beginning of the Age of PISCES is accepted as circa 150 B.C.E., some 145 years before the birth of Jesus the Christ. Now, it must be noted here that not every astrologer, astronomer, historian, Bible scholar, and so forth, agrees with the 2012 year for the beginning of the new Great Month of the Age of AQUARIUS, and not every astrologer, astronomer, historian, Bible scholar, et cetera, agrees with Jesus the Christ’s date of birth. Be that as it may, there can be no coincidence that the Age of PISCES (a.k.a., Age of Faith or CHURCH Age) represents charity, mercy, sacrifice, compassion, and pardon, which are the virtues taught and lived by Jesus the Christ. Luck also had nothing to do with the reasons why the early CHURCH believers chose the fish symbol as their way of identifying believing CHRISTIANS. Their fish-sign choice seems to be based on both the Age of PISCES’ two large swimming fish star formations and the popular belief that the Earth is rotating in the PISCES constellation. There also is no coincidence that the powerful and meaningful fish symbol still emphasizes the same Faith, Beliefs, Moral Values, Spiritual Wisdom, and Spiritual Knowledge for 21st-century Christians, as it did for 1st-century Christians. Perhaps the fish sign’s longevity is why the AGE of PISCES is recognized as the Age that birthed Christianity, with its focus on awareness of humility and love. Furthermore, there can be no doubt that Jesus the Christ’s knowledge of the sign of the fish’s meaning is the reason why He refers to His disciples as fishers of men. Indeed, biblical Scriptures speak at length of fishermen, of catching 153 fish, an amount that should have broken the nets, of feeding the multitudes with fish, of helping the downtrodden and outcasts of society, of wine, of turning water into wine, of walking on water, and of the washing of feet. That’s why the other enduring symbol of the Age of PISCES is water. For sure, water played a prominent role in Jesus the Christ’s teachings, so it cannot be a coincidence that PISCES is a water sign. Nor can it be a coincidence that the sign of the fish evolves into yet another enduring symbol—the sign of the cross. Without doubt, the sign of the cross is just a simplification of the sign of the fish in the PISCES constellation. In the sky, the scattered stars in the PISCES constellation trace the images of two large widely separated fish that are joined together by a knotted cord. One fish is swimming eastward across the ecliptic toward the ARIES constellation, and the other fish is swimming westward across the ecliptic toward the AQUARIUS constellation. Their movement, thus, resembles the upright and horizontal lines of a cross. Now, the Cross of Christ certainly is an indisputable symbol that represents the true PISCEAN characteristics of the highest sense of sacrifice, worship, and profound devotion—characteristics demonstrated the most in the life of Jesus the Christ. Moreover, it is an indisputable fact that all of the these mentioned symbols and characteristics are traditional AGE of PISCES symbols and characteristics, which is why they also are some of the main reasons for considering the Age of PISCES to be the Age of Jesus the Christ, as well as the Age in which He was born. Just like there can be no coincidence that the birth of Jesus the Christ, the sign of the fish, the sign of the Cross, Christ-like characteristics, and so forth, are connected with the Age of PISCES, there also can be no coincidence that the Sun, because of the Earth’s wobbly axial precession, travels backward among the zodiacal constellations. Clearly, before the Age of AQUARIUS can begin, with its core values of love, unity, quality, freedom, brotherhood, integrity, and enlightenment, 21st-century individuals will have to get BACK TO the PISCEAN qualities that over time have changed to the present-day dominant core values of money, power, and control. As already mentioned, the Sun is moving backward, leaving the Age of PISCES and entering the Age of AQUARIUS (a.k.a., Age of Reason). For sure, the beginning of the Age of AQUARIUS will be an Age in which humans finally realize that the love they show toward their “brothers” and “sisters” is the love they also feel for their Creator and for themselves. Sadly, though, the AGE of AQUARIUS also is that prophesied time when revolutionary events upset established structures, and when people will emphasize the rational scientific mind. 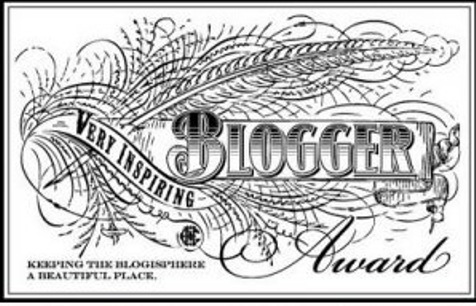 As a result, the AGE of AQUARIUSwill be a time of increased involvement with science and technology, computers, Unidentified Flying Objects (Aliens and Spaceships), alternative medicine, astrology, vegetarianism, the media, the pursuit of societal freedoms, and the pursuit of originality of thought and expression. 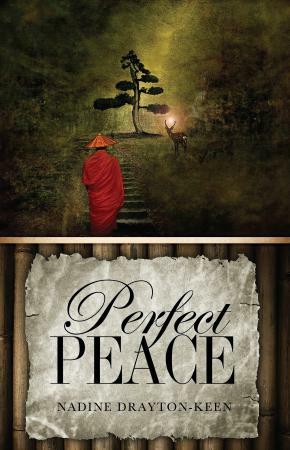 In this New Age, people also will lean more and more toward peaceful aspects, and more and more toward non-religious types of spiritual awakenings; ultimately, this New Age’s powers-that-be will call attention to each individual’s ability to achieve his or her own peace and spiritual awareness, without needing any intercession from holy and righteous authorities! More important, the Age of AQUARIUS continues the water symbolism of the Age of PISCES, for the primary symbol of AQUARIUS is the Water Bearer/Pourer who is pouring the water out of His vase upon the Earth—water that washes away the past, which in turn leaves room for a fresh, new start; life-giving water that brings relief, restoration, revival, and recovery. In Christendom, the kind of water that washes away the past and regenerates, revives, restores, and refreshes, etcetera, is the Holy Spirit’s Living Water. Thus, unlike the literal water of the Noahic Flood, in which unbelievers perished but believers escaped physical death (were saved) via the Ark, the Age of AQUARIUS will be the prophesied time of the double-portion outpouring—the figurative Former and Latter Rains, combined—that will Flood this Earth with the knowledge of the Lord. This water is poured into people until the water fills them, saturates them, floods them with an abundance of new life, power, might, peace, love, spiritual gifts, blessings, and so forth. In other words, this spiritual water of the AQUARIAN flood is what saves believers from the coming Tribulation Period, but the people who are not full of this water will not be provided a way to escape the coming Tribulation Period. That is to say, for the believers baptized in the Holy Spirit, flooded with His Former and Latter Rains’ double-portion of water, full of the AQUARIAN Flood, their escape corresponds with the Rapture (the AQUARIAN Ark), which saves ONLY genuinely prepared and watchful believers from the end-time wrath of God. Spiritually speaking, this flood, which results from the Former and Later Rains’combined outpouring of the Holy Spirit, begins to happen near the end of the CHURCH AGE. Because this second outpouring of the Holy Spirit is a double-portion rain, the Latter and the Former Rains, will be greater than the Day of Pentecost’s Former Rain, because the second outpouring of the Holy Spirit’s baptism will overflow until it falls on countless believers—until the Holy Spirit baptizes (immerses) the masses of people who before this point in time have not been infilled by Him. This second outpouring also will be greater than that of the water-pot-carrying priests’ outpouring, because, unlike the Pool of Siloam’s water, which cannot transform anyone, when humans have put their Faith in Jesus and are drinking from “the water of life” that He gives them, out of them will flow “Living Water” (anointings, giftings, power, blessings and authority, and so forth) that make them a life-giving fountain. They then will be able to teach, preach and/or put into practice the Gospel, the Logos Word and Rhema Word, that will bring new “life,” a new start, “rest,” and a time of “refreshing” to the world’s spiritually dead sinners and spiritually thirsty believers. What’s important to note about this Passover Feast incident is that just as it is no coincidence that Jesus the Christ spoke of the outpouring of the Holy Spirit on the last day of His last Feast of Tabernacles, when the priests are pouring out water from large golden pitchers onto the altar and marching around the altar seven times, praying continuously for the Former Rains to fall abundantly upon the Promised Land, it also is no coincidence that He refers to the outpouring of the Holy Spirit during His last Passover Feast celebration, when He tells His disciples to find a mysterious man “…bearing a pitcher of water….” Now, it should be obvious that Jesus the Christ is contrasting the goings-on at His last Feast of Tabernacles event with the goings-on of His last Passover event. For one thing, the priests carried pitchers made of pure gold, but the unidentified man carried an earthen pitcher. The priests’ pitchers were sacred Temple items meant for liquid offerings, but the nameless man’s earthen pitcher was an ordinary household item meant for everyday use. Moreover, drawing water from the well of Salvation is an invitation that the Messiah could give out, but not anyone else, not even Temple priests. And another thing, traditionally speaking, in ancient Israel, even though men did carry waterskins for their own drinking, they did not carry water in the pitchers that were meant to be used for household needs, which is why men drawing and carrying water for domestic use is found only in the Mark and Luke passages. Then too, just like carrying water pitchers was women’s work, and not the work of men, then releasing the Living Water that the spiritually thirsty world would need is the work of the Savior of the world, and not the work of Temple priests, nor the work of male servants! For this last reason, the upshot of Peter and John knowing that the “…man…bearing a pitcher of water…” is that just like these disciples would know for certain that this unidentified man is the man the Lord sent them to find, spiritually discerning men and women living in the last days also would know that the AQUARIUS sign (waterman) is THE sign in the Heavens that unmistakably points to Jesus Christ, the Holy Spirit, and the double outpouring of the Living Water of Life. This truth is why it also is no coincidence that the same Upper Room where the Lord washes the feet of His disciples turns out to be the same place where two major events in the early Christian CHURCH happen: The Last Supper AND the coming of the Holy Spirit. In this higher place of consciousness (Upper Room), on the Day of Pentecost, some seven weeks after the Lord’s Last Supper, the Holy Spirit is poured out on 120 disciples! Therefore, it definitely is conceivable that Jesus the Christ, in whom all things exists, would compare Himself to Luke’s mysterious man who carries a pitcher of water into the house with the large Upper Room. There can be no doubt that the Lord is supposed to eat His “Last Supper” in this higher place of consciousness and then leave from there to go pour out His blood and water. That’s why the Living Water, or the Water of Eternal Life, that the Lord pours out of Himself onto a world that is thirsting after everlasting life, clearly represents both the Holy Spirit’s Positional Sanctification (Justification) and Practical Sanctification, which first flow out from the Lord’s pierced side, in the form of the two component parts of His blood—water and blood. Having said that, it also is important to note here that, based on the known Jewish tradition of washing faces, hands, and feet before eating, it is logical to infer that either the guest chamber’s owner or his servant pours literal water out of a pitcher for the physically tired, thirsty, and hungry men of God so that they could at least wash their faces and hands before eating. 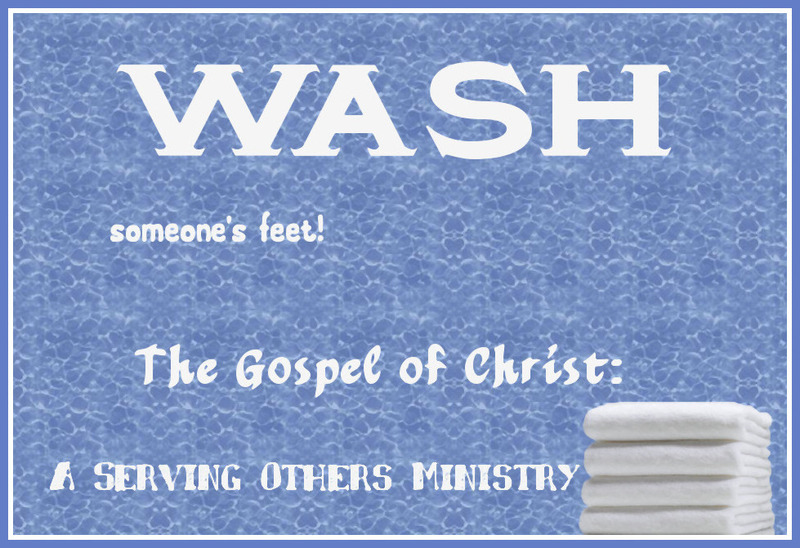 Furthermore, John writes about the Lord washing His disciples’ feet before they eat, which is why, based on this washing faces, hands, and feet Jewish custom, it also is reasonable to infer that the AQUARIAN Water Bearer/Pourer’s pouring out of water from the sky’s UPPER ROOM (from the God owned heavenly vault) onto a spiritually weary and dry Earth not only symbolizes the owner or his servant’s UPPER ROOM pouring out of water for the Lord’s physically tired, thirsty, and hungry disciples, but also points to the knowledge of Jesus the Christ that is destined to flood this world. For sure, both of these outpouring images also point to the Former and Latter Rains’ double-portion outpouring as being the abundance of God’s Glory that will fill the Earth near the end of the AGE (the end of the world, as humans know it). Moreover, the ancient AQUARIAN symbol not only represents a heavenly concealed Divine Truth that finally is revealed just before the Lord’s “Last Supper” takes place in the AGE of PISCES but also the ancient AQUARIAN symbol epitomizes the predicted time when the Lord’s servants will complete their evangelistic work—the time when human microcosmic work of zealously preaching and propagating the world with the Gospel of Christ completely becomes one with God’s Divine macrocosmic plans of salvation. 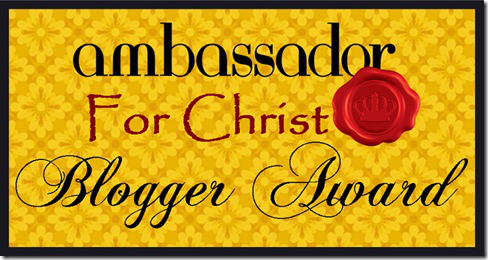 In other words, shortly after the AGE of AQUARIUS officially begins, the Lord’s faithful servants (Body of Christ) will see the fulfillment of their part in the Great Commission. This service fulfillment will be achieved exponentially, because it will be aided by the supernatural power of the final Holy Spirit outpouring, the metaphoric double–portion of rain (the Latter and Former Rains), which, according to biblical prophesies, happens during the nation of Israel’s first month (cf. Joel 2:23, 28-29; Deuteronomy 11:14; James 5:7). Now, although the Gospel of the Grace of God will end with the Rapture, the evangelistic work of the 144,000 still must be fulfilled. Yes, the Rapture will coincide with the moment when every Jewish and Gentile person who is supposed to be a Body of Christ member is achieved. Put differently, the Rapture will happen right when the Bride of Christ is completed. The Word of God, however, makes it clear that, after the Rapture, the sealed 144,000 will resume the Gospel of the Kingdom, which is the same teaching and preaching that Jesus the Christ taught and preached. These left behind Jewish evangelists, thus, also will complete their service exponentially, but they will be aided by the supernatural power of the Jewish two witnesses and angelic forces (cf. Revelation 7:3-4; 11:3-6; 12:6-7; and 14:6-7). The bottom line, therefore, is Jesus the Christ’s reference to the Age of AQUARIUS, which is evident in the Scriptural depiction of the “man” carrying a water pot full of water, shows that He knows that there is coming a time when there will be a shift from the PISCEAN Age (the Fish-CHURCH Age) to the AQUARIAN Age (the Outpouring-Kingdom Age). In other words, the Lord is letting modern-day believers know that He knows the Age of AQUARIUS clearly represents mankind’s shift from focusing on moral reflectivity, supernatural beliefs, and lending service to all humanity (PISCEAN concerns), to focusing on groups, clubs, societies, brotherhoods, and friendships (AQUARIAN concerns). The Son of God also knows that the constellation called AQUARIUS is going to “govern” (control) lives, and, as a result, people will shift their focus from the altruistic lifestyle based on genuine love—that of putting the needs of others above one’s own needs—to a universal egocentrism based on a selfish push for New Age spirituality—the united, global agreement to combine ALL human efforts so as to bring about an improvement in the current societies that the Age of AQUARIUS men and women absolutely believe will foster true world peace. The Lord also foreknew that the AGE of AQUARIUS’ weak Christians would be seeking peace, happiness, and a longer more fulfilling life, by any means necessary. For this reason, He reveals His knowledge of the Age of AQUARIUS during the time of His last Passover Feast because He wants today’s believers to understand that His end of the Age and last-days predictions are more trustworthy than the ancient Chaldeans, or the highly cited 2012 predictions of Sir Isaac Newton, Nostradamus, and the Mayan civilizations. David’s words confirm what countless Christian astronomers, astrologers, and Bible scholars agree to be true about the Age of AQUARIUS, which is that the Vernal-Equinoctial Sun rising in the Age of AQUARIUS symbolizes the glorious Gospel (cf. Genesis 1:3; 2 Corinthians 4:4, 6; and Hebrews 1:3). These countless Christian astronomers, astrologers, and Bible scholars also agree that the sign of AQUARIUS, the waterman carrying a pitcher or pouring water out of a pitcher (the image depends on which star maps people are viewing), obviously symbolizes Jesus the Christ who showers down blessings through streams of Living Water—through the ministry of the Holy Spirit. Then too, these said scholars agree that inside the House (Sign) of AQUARIUS (the 11th of the 12 zodiacal signs divided into 30° sectors of the ecliptic) are three decans (each House’s subdivision of 10° arcs that are referred to as the first, second, and third decanates or decans). All three of these AQUARIAN decans point to Jesus the Christ’s swift return and to His disciples’ fulfillment of His Great Commission. Decan 1: The Piscis Australis (The Blessing Bestowed) decan is a brilliant star of the first magnitude that resembles a fish called the Southern Fish, which is inseparable from the constellation AQUARIUS. This Southern Fish is at the Water Bearer/Pourer’s feet, where, on ancient star maps, this fish is merely swimming in the waters, but on more modern star maps, the fish is swallowing up the water poured from this waterman’s vase. This water that the Southern Fish is drinking from is symbolic of the showers of heavenly blessings that the redeemed receive, and symbolic of their Redeemer’s swiftly flowing evangelistic water, which means this Southern Fish also represents the Lord’s followers who not only are rapidly spreading the Good News but also eagerly blessing others with the blessings they have received (cf. Matthew 13:47-48; Mark 1:17; John 21:3-11; 2 Corinthians 9:8-12). Moreover, this Southern Fish is not the southern fish of the PISCEAN constellation that is heading toward the Sign of AQUARIUS, because the AQUARIAN Southern Fish’s constellation lies much further to the South. Lastly, in the Latin language Piscis Australis = southern fish. Decan 2: The Pegasus (The Blessings Quickly Coming) or winged White Horse decan is a star formation that symbolizes Jesus the Christ as the Good News carrier, and represents the White Horse the Lord is riding at His Second Coming (cf. Revelation 19:11, 19, 21). This constellation is unique in that the names of the dominate stars in formation explain what the sign means. Three of Pegasus’ brightest stars, plus the Alpheratz star from Andromeda form the Great Square of Pegasus (a recognizable asterism): 1. Markab, the brightest star is white, is located on the horse’s neck, at the junction of the Winged Horse’s wing; its name means: Returning From Afar; 2. Scheat, a deep yellow-orange star, is located on the thigh or leg of the Winged Horse; its name means: Who Goes and Returns; 3. Algenib, a blue-white star, marks the tip of the Winged Horse’s wing; its name means: Who Carries; and 4. Alpheratz and Andromeda, the brightest star of PISCES’ Andromeda is a white and purplish double star on the Pegasus’s navel and on the Chained Woman Andromeda’s head; its name means: The Broken Down. There are three additional important stars in this Decan. These stars and their meanings are: Enif, a yellow and blue triple star, located in the Winged Horse’s nose; its name means: The Branch or The Water; Matar, a star, located in the winged Horse’s right knee; its name means: Who Causes to Overflow with Joy; and Homan, a light yellow star, located on the neck of the Winged Horse; its name means: the Waters. 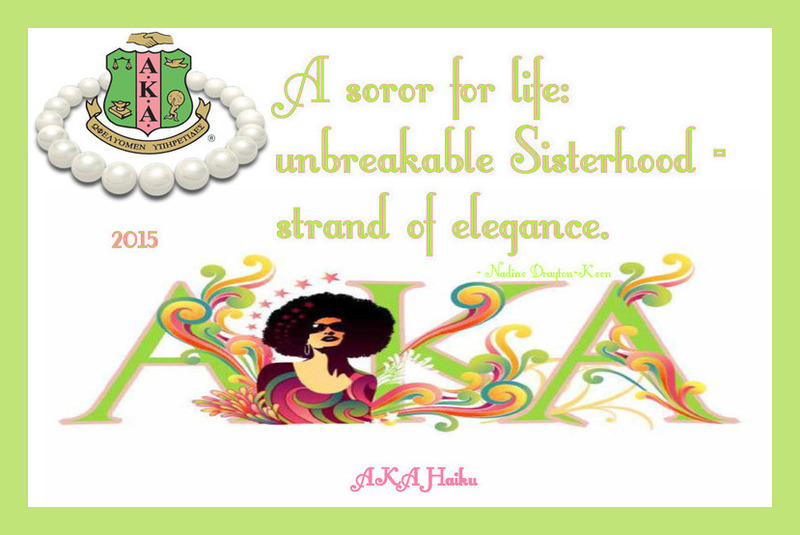 Lastly, in the Greek language, pegasus = spring forth or gush forth. Decan 3: The Cygnus (The Blesser Surely Returning) is a Swan that symbolizes the angelic Good News carrier that is flying all over the Earth. This Swan is opposite Crux, the Southern Cross constellation, so this Swan also is called the Northern Cross, because as this Swan flies through mid-Heaven, with its head and legs extended, and with its stretched out wings, it makes the sign of the cross (cf. John 12:32; Romans 1:16; 1 Corinthians 1:18; 1 Corinthians 2:2; Revelation 14:6-7). It is clear that Cygnus repeats the theme of Pegasus, which is that of the Lord’s swift return. Moreover, the Divine Truth about the Lord’s Second Coming is that it is similar to the Swan’s activities, in that the Swan is a bird of the air and a bird of both the Earth and the waters. Many Scriptures declare that the Lord is coming back in the air, but He will not remain up there. 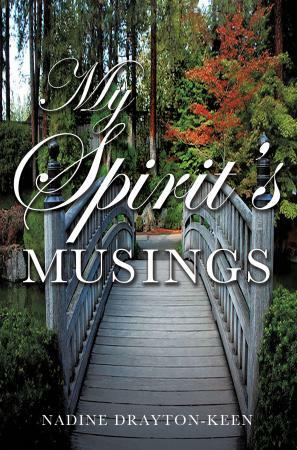 His feet eventually will touch Earth, on the Mount of Olives, and spilt the mount in two (cf. Zechariah 14:4; Matthew 24:30). Cygnus also has notable stars, and they are: Deneb Adige, a brilliant supergiant (very large and bright) white star in the tail of the Swan; its name means: The Judge. This judge flies swiftly through the air, clearly symbolizing Jesus the Christ, the Judge who will descend from Heaven to judge the world (cf. Isaiah 40:10; Revelation 20:11-13; Revelation; 22:12); Albireo or Al Biero, a double star of topaz yellow and sapphire blue, is situated in the beak of the Swan; its name means: Flying Quickly; Sadr, a star in the Swan’s breast; its name means: Who Returns As In A Circle; Azel and Fafage, two stars in the Swan’s tail; their names mean, respectively: Who Goes and Returns Quick and Gloriously Shining Forth. Azel and Fafage also are called Azelfafage, a star in the Swan’s tail, in some sources. Lastly, in the Latin language cygnus = the swan. Without a doubt, of all of the twelve zodiacal constellations and signs, AQUARIUS is the one that best represents mankind, as a whole, and the sign’s message is very clear. AQUARIUS’ Water Bearer or Water Pourer is Jesus the Christ, the Man-God who humbled Himself so that He could sacrifice His life. He paid Salvation’s price, and by doing so He became the ANTITYPE—the manifested perfect image—of the sky’s Water Bearer/Pourer. There can be no doubt that Jesus the Christ is the One who literally pours out the water that makes Zion’s “…wilderness like Eden, and her desert like the garden of the LORD…” (Isaiah 51:3, KJV), and He is the One who supernaturally and abundantly pours out the Holy Spirit so that God’s Spirit becomes a powerful and mighty blessing, rest, refreshing, and comfort to the Lord’s redeemed ones—His purchased and secured believers. Unquestionably, the astronomical constellations and the astrological signs both declare the Glory of the Lord who is the One who floods this world with God’s Peace, God’s Glory, and God’s Blessings, just like “…the waters cover the sea…” (cf. Isaiah 11:9; Habakkuk 2:14). For these reasons, the mysterious man“…bearing a pitcher of water…” (Luke 22:10b) not only is a manifestation of the AQUARIANsign’s Water Bearer/Pourer but also both the unidentified man and the AQUARIAN Sign are the SIGN of the Son of Mankind, who supernaturally appears in the heaven (sky). That’s why it is no coincidence that AQUARIUS is an air sign, and no coincidence that astronomers and astrologers ascribe the development of air and space travel to the dawning of Age of AQUARIUS. …shall appear the sign of the Son of man in heaven: and then shall all the tribes of the earth mourn, and they shall see the Son of man coming in the clouds of heaven with power and great glory (Matthew 24:30, KJV). In the Greek language, Jesus the Christ’s words, “…the sign of the Son of man in heaven…,” literally read as “the Sign of the Son of Mankind.” Thus, in Matthew 24:30, the Lord is letting the individuals know—letting the people who would become believers in the centuries after He goes back to Heaven know—that the Divine Truth in Matthew 24:30 and the preceding verse are no doubt why the sign of AQUARIUS is introduced during His Last Supper. It is evident that in Matthew 24:29-30 Jesus the Christ is following the prophet’s tradition of speaking of events that will happen in language that makes it seem as though those events were just around the corner, and He does so to express the magnitude of and assurance that these events will happen, but only after the most horrific and darkest time this world will ever know—the Great Tribulation. Thus, in the aforementioned verses, the Lord is confirming that His Second Coming not only is going to happen but also that it is going to be an event to beat all events, one in which His Glory will NOT be hidden. Now, it has long been understood that Jesus the Christ always takes the form of the “sign” rising at the Vernal Equinox. 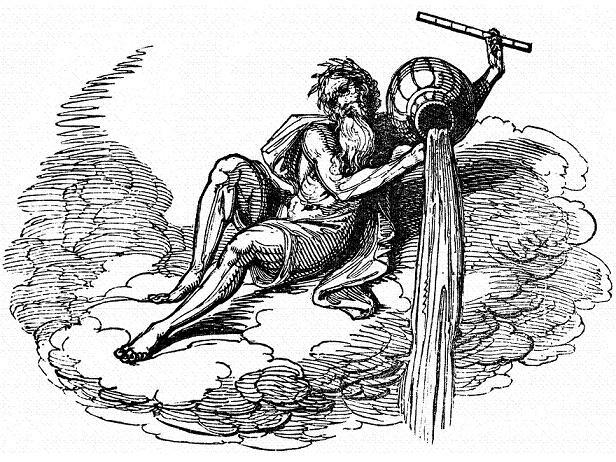 At His Second Coming, that “sign” is Aquarius (the Water Pourer), which personifies Jesus the Christ. His Second Coming, thus, is going to be unlike the “sign” of His First Coming—the astrological sign of Aries (the Ram), which is symbolic of Abraham’s Ram, the sacrificial ram caught in the bushes, or symbolic of the sacrificial lamb—both of which represent suffering and death. Moreover, the sacrificial ram or lamb is the scapegoat, which is why the “sign” of His First Coming was not admired, because this “sign” hid His true Glory. The bottom line is this: Jesus the Christ introduces to the world the Sign of the Son of Mankind during His last Feast of Passover celebration because He wants to give Scripture readers another example of His ultramodern radicalness, another example in which He is rebelling against a cultural norm, in this case the “man…bearing a pitcher of water…” (Luke 22:10b). This example points to the Creation’s Truth about each New Age rebelling against the former Age’s beliefs, values, and sacred symbols. Indeed, it does appear that as a New Age begins the old Age’s sacred symbols get overthrown (either changed or deleted). For example, the Brahman Sacred Cow of the Age of TAURUS is overthrown by the Golden Calf of the Age of ARIES, and this process continues until Jesus the Christ and Savior (in human form) overthrows the Jewish Sacrificial Lamb sacred symbol to become the sacred symbol of the Age of PISCES. In other words, the Lord is the ONLY sacred symbol that is an actual human, which is why the Sign of the Son of Man (the Waterman of the Age of AQUARIUS) is one of three human zodiacal “signs,” and the other two signs are the Virgin of the Age of VIRGO and the Twins of the Age of GEMINI. Thus the Lord, His earthly mother, and His dual natural, as represented by the Twins, are the only completely human primary signs of the 12 zodiacal constellations and 12 zodiacal signs. As already stated, Jesus the Christ’s demonstrated characteristics of the highest sense of sacrifice, worship, and profound devotion represent the principal reason why the Age of PISCES is considered to be the Age of Jesus the Christ. That is why what is unique about the coming of the Age of AQUARIUS, especially where the sacred symbol of Jesus the Christ is concerned, is that since the Lord is coming back again, which the entire AQUARIAN sign confirms, then the Lord not only will remain a sacred “sign,” in spite of the fact that EVERY Age has its own distinctive influences and messages, but also He will be a “sign” that will be admired and mourned. Therefore, the reason why “…all the tribes of the earth…” will mourn when they see the Lord coming in all His power and Glory is because most of these mourners represent the countless Age of AQUARIUS rebels who tried to force their AQUARIAN beliefs, values, and sacred symbol of like-minded consciousness—harmonious spiritual brotherhood—on the people who were hanging onto the past Age’s PISCEAN (Christian) beliefs, values, and sacred symbols (fish, cross, water, and Jesus the Christ). These mourners realize that their consensus consciousness anarchy actually was against the true Alpha and Omega—the authentic Redeemer who is the bona fide beginning and end of all of the Ages (from ARIES, or first sign of the Ages, to PISCES, the last sign of the Ages)! If truth be told, present-day humanity, as a whole, began mourning the moment the Earth’s slow wobbling brought about the first change in the position of the Vernal Equinoctial point, moving it backward, from the zero point in the Sign of ARIES, through the Zodiac until the Sun’s morning rising position in the New Age or Great Month matched the Vernal Equinoctial point. This change in the position of the Vernal Equinoctial point is why, after 2,000 plus years of shifting clockwise, it appeared in the early degrees of the Age of PISCES. Because of this non-stop shifting, humanity will continue to mourn until the cuspal process is complete, until the Sun’s morning rising on the day that the Vernal Equinoctial point appears in the Age of AQUARIUS. 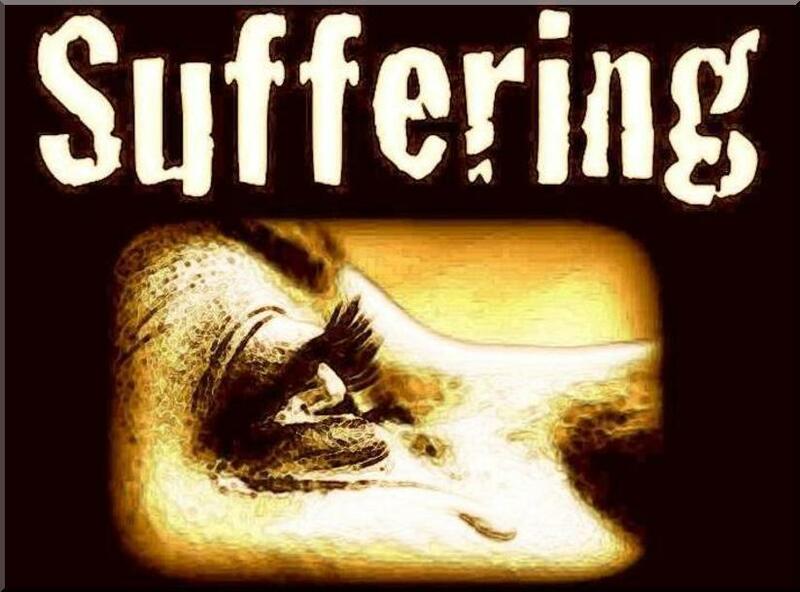 For this reason, it is evident that Jesus the Christ’s “…the beginning of sorrows” predictions (Matthew 24:8) are those specifically highlighted points of tension that verify when the Vernal Equinox is in the cuspal position, which in this case means the process of shifting from the PISCEAN Age to the AQUARIAN Age. That’s why Jesus the Christ’s last days’ predictions of wars and rumors of wars are right on point. Now, if the PISCEAN Age began around 150 BCE, as many astronomers, astrologers and Bible scholars believe, then some of the PISCEAN Age’s highlighted points of cuspal tension that mark the epochal shift, a sift which would have begun around 1850 CE, are the Crimean War, the American Civil War, World Wars I and II, the Jewish Holocaust in Nazi Germany, the Cold War, the Vietnam conflict, the Six-Day War, the Rwandan genocide, Sudanese genocide, and the present War on Terror. These examples of highlighted points of cuspal tension leave no doubt that an epochal shift from the AGE of PISCES (or the CHURCH AGE) to the AGE of AQUARIUS (or the End of the Age—the end of the world as people know it) is happening right now! Furthermore, as a result of this epochal shift, the PISCEAN AGE, which ushered in a belief in JESUS as Christians’ Spiritual TEACHER, is in the process of being overthrown or replaced with the AQUARIAN AGE’S belief in EVERY person’s INTERNAL TEACHER, who is other than the Holy Spirit. The New Age AQUARIAN believers’ teacher is SELF, and that is why Jesus the Christ uses the AQUARIAN symbol of a “man…bearing a pitcher of water…” (Luke 22:10b) to represent the servant of God, Christ Himself, who is pouring forth the Living Water of Life onto a dehydrated humanity—upon people who are yearning for spiritual enlightenment’s refreshing waters. The problem, however, is that these yearning people are looking in all the wrong places! For this reason, the type and shadow of the heavenly AQUARIAN symbol, which is revealed in the “man…bearing a pitcher of water...” (Luke 22:10b), represent a quenching of the inner thirst that only can be accomplished through the Holy Spirit’s outpouring. This inner thirst relates to the human nature Jesus Christ addresses when He speaks to the woman at Jacob’s Well. She and all of mankind, including today’s believers and unbelievers, are really uncomfortable with the desert in their souls, yet they remain thirsty (cf. John 4:13-14), because they don’t know how to quench their thirst. That’s why Jesus the Christ starts with the woman at the well, and teaches a Divine Truth that is evident even today. 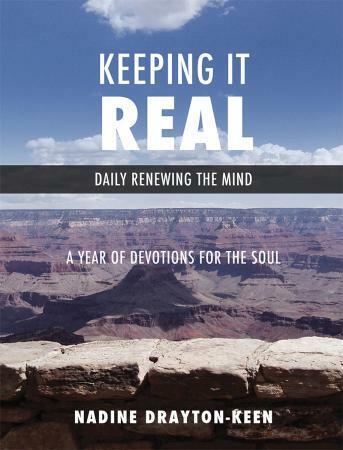 This Divine Truth is that there always will be people, from His time period to the Tribulation Period, who will be searching for “something,” “anything” other than the Holy Spirit, to fill them up inside, but they never will find what they are looking for in either the spiritual or natural “things” they are seeking. This unquenchable thirst (yearning) is why Jesus the Christ predicts, via the AQUARIAN sign of the waterman, who is pouring out evangelistic waters on the Earth, that today’s believers never will thirst again, if they drink from the Living Water that He gives. For this reason, being flooded (filled) with the second outpouring or the combined Former and Latter Rains is the fulfillment of this AQUARIAN “sign.” The bottom line, then, is that the Baptism of the Holy Spirit is the ONLY way Christians will ever find everything they have been longing for, and, as a result, have their thirst forever quenched. Most definitely, the Son of God is returning for His Bride, so believers must ‘Get Ready, Get Ready, Get Ready’ right now so that they won’t miss the Rapture. Because no one can feel the actual shifting (slow axial wobbling that causes the backward precession) of the Vernal Equinox into the Age of AQUARIUS, which is taking place right now, this is the main reason why believers must not let the current influences and messages of New Age philosophy fool them. What Does the Bible Say About Stars? 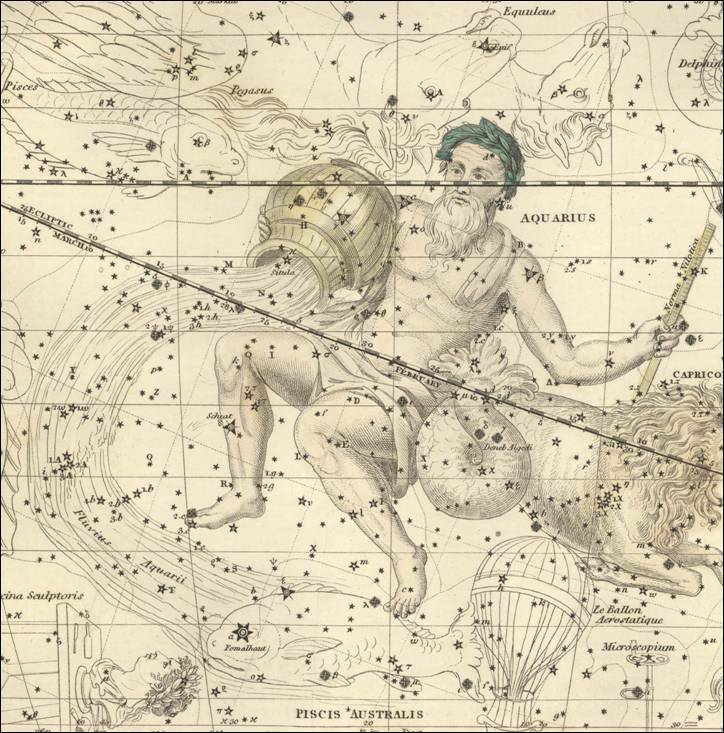 Why isn’t Ophiuchus a zodiacal constellation?